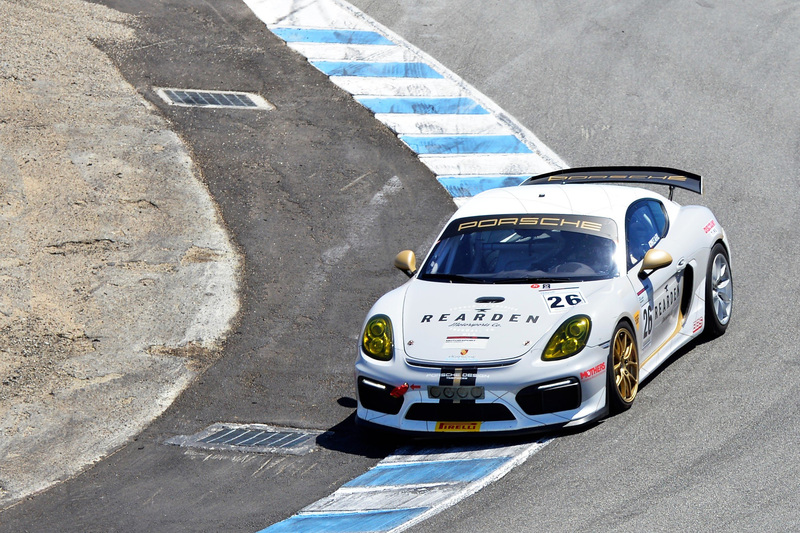 Monterey, Calif. (29 July 2017) – The largest Pirelli GT3 Cup Trophy USA Series field of the year took the green flag at Mazda Raceway Laguna Seca on Saturday as 37 Porsche machines took to the 2.238-mile California circuit for Round 4 of the 2017 championship. And it was a thrilling one as multiple races among each class took place throughout the 35-minute event which saw a Lap 1 caution period and a second and final caution late in the race that set up a 10-minute sprint to the finish. 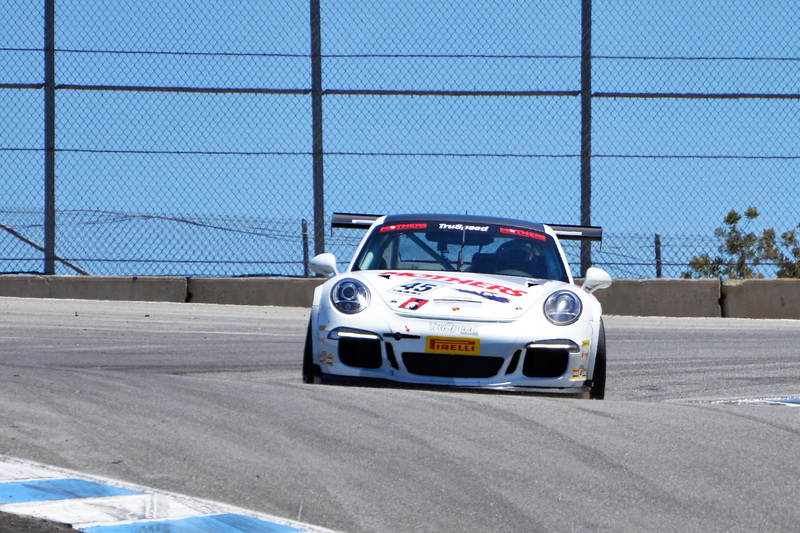 In the Diamond category, it was TruSpeed Autosport’s Kevin Woods, who made his first Pirelli GT3 Cup Trophy USA appearance of the year after taking the Silver Class championship title last year, that came out on top with a huge victory for Warriors on Track in the No. 94 Porsche. 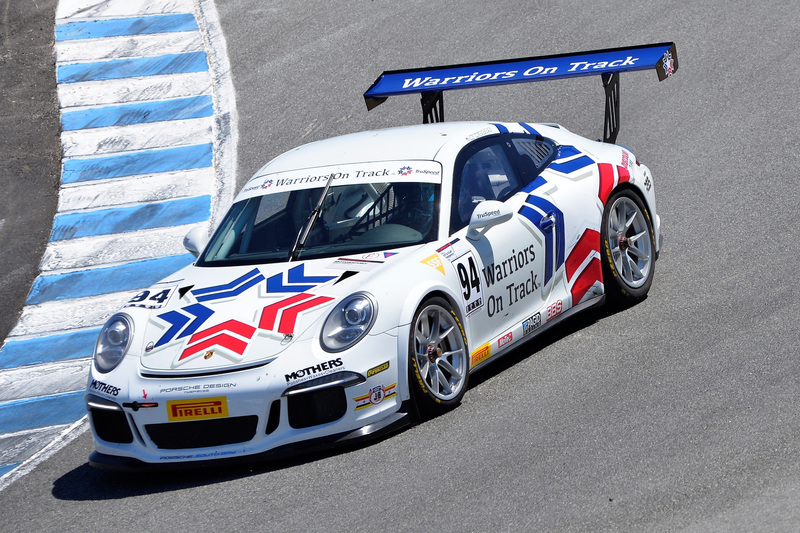 The partnership between Warriors on Track and TruSpeed Autosport is part of a venture to help Veterans become involved in motorsports (see story here). Woods rebounded from an early weekend set back by starting on the pole and never looked back as he led flag-to-flag. But it wasn’t clear sailing, as current Diamond championship leader Loren Beggs (No. 08 911 Design) ran second and right on the No. 94’s rear bumper for much of the race. Meanwhile, youngsters Russell Ward (No. 35 WinWard Racing) and Alex Kirby (No. 01 Aasco Motorsports) battled for the final spot on the podium. Ultimately, Ward took the third position and gave chase to the front runners as Beggs and Woods continued to lead the field. A small hiccup from Beggs saw Ward improve to second with the running order Woods, Ward, and Beggs at the checkered flag. Tom Haacker (No. 45 Mother’s Polish) of TruSpeed Autosport took his second victory of the season as he led the way in the Diamond Masters division. He was followed closely behind by Diamond Masters championship leader Bryce Ward (No. 57 WinWard Racing), who has taken a podium finish in every race so far this year. Dave Elsner (No. 93 911 Design) rounded out the podium in third. Ray Shahi (No. 65 TruSpeed Autosport) took his seventh straight victory of the season as he continues to hold the championship lead in the Platinum class. Having won every single event this year, Larry Schnur (No. 32 TruSpeed Autosport) and Ranson Webster (No. 12 Ranson Racing) looked to knock Shahi off of the top spot, but took second and third, respectively. The competition was fierce in the Silver category as Sean McAlister (No. 00 Competition Motorsports) edged out current championship leader Jeff Kearl (No. 20 Rearden Racing) by just two hundredths of a second in qualifying to take the pole position earlier in the day. But, Kearl sought the top spot and the two cars swapped positions multiple times throughout the 20-lap event. Kearl took the victory in the end, followed by McAlister in second, and Carter Yeung (No. 7 GMG Racing) in third. Martin Brauns (No. 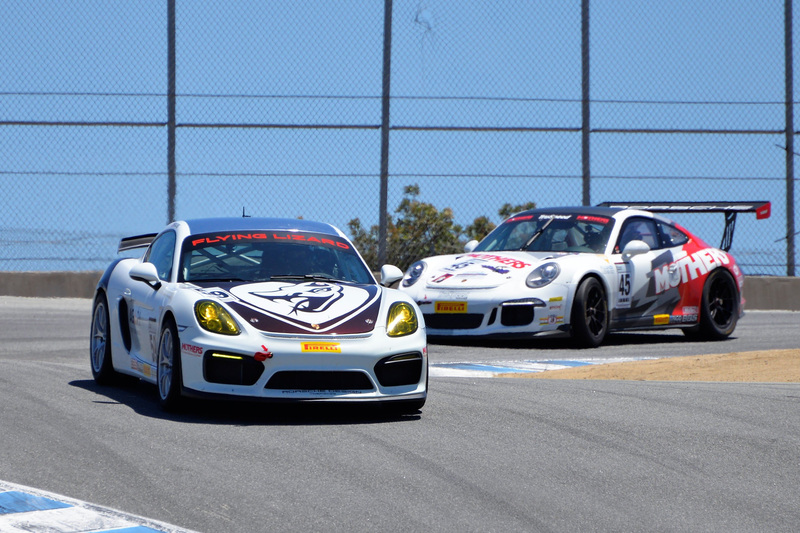 59 Flying Lizard) returned to the top step of the podium in Silver Masters, after winning earlier this year in the season-opener at Thunderhill. Mike Sullivan (No. 83 Competition Motorsports was second and Silver Masters championship leader Steve Goldman (No. 1 Competition Motorsports) was third. Competent Motorsport President Greg Franz was pleased with the day’s racing and is eager for a similar outing on Sunday. 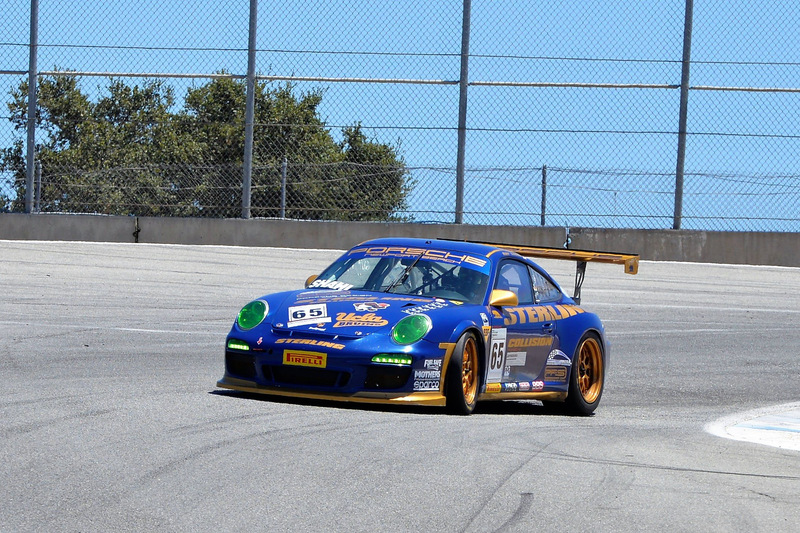 The Pirelli GT3 Cup Trophy USA series will be back in action at Mazda Raceway Laguna Seca on Sunday for Race 2 of the weekend.